Dexter seems to have gone from 0-100mph with regards to teething over the past six months. We waited six months for his first tooth to pop through then there was nothing for ages. At eight months he got his lateral incisors through and that was it for months. Every time he smiled he looked like a vampire and people cooed at the cuteness of it all. The last couple of months have my only seen his remaining five front teeth come through, but also four molars as well. It has made for quite a grouchy baby who is desperate to shove whatever possible into his mouth to relieve the pain. 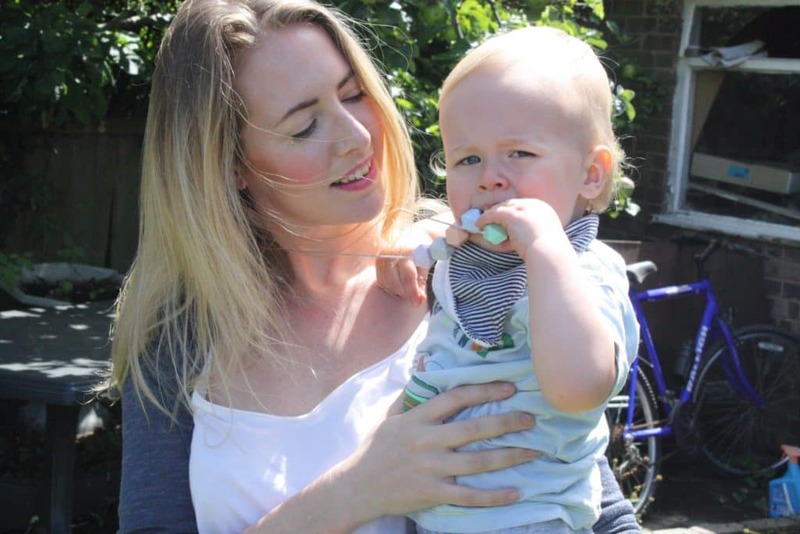 I quite often find him walking around with Duplo, a nasal aspirator and remotes hanging out of his mouth, whilst the carefully purchased teething rings lay on the floor unused and redundant. Suzy gave me the option to choose whatever I wanted from her easy to navigate and stylish website and I picked the Isla Blossom necklace (mainly because I LOVE that colour green). I fell in love with the necklace as soon as it arrived. It looks visually stunning and both my Mum and my husband were both surprised when I offered it to Dex as a teething aide as they assumed it was a proper piece of jewellery. The multi coloured aspect means it goes with a wide range of my outfits and brightens up my usual mama look of white vest top, leggings and a grey cardigan. Most importantly, Dex loves to give it a good chew. It saves him trying to pull my hair out when I am carrying him around and is a good distraction when I am changing his nappy. 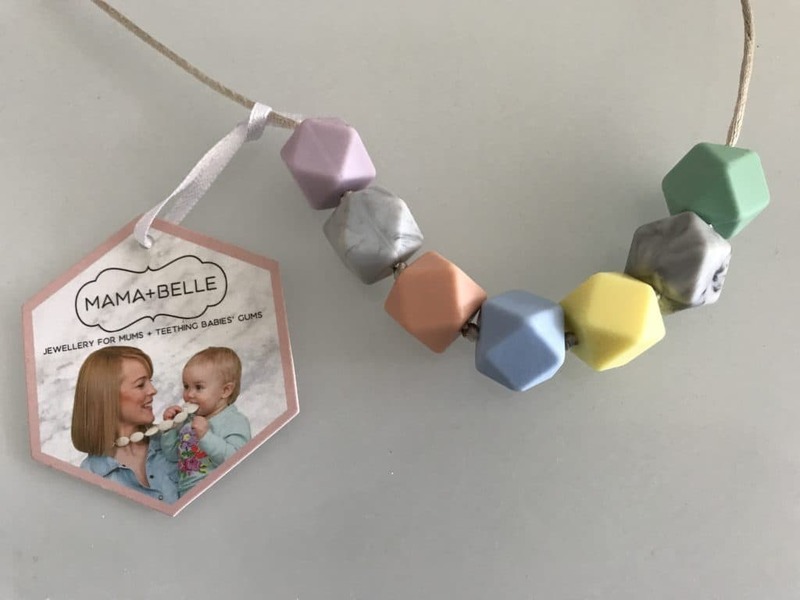 Check out Mama+Belle’s stunning range of teething jewellery on their website. 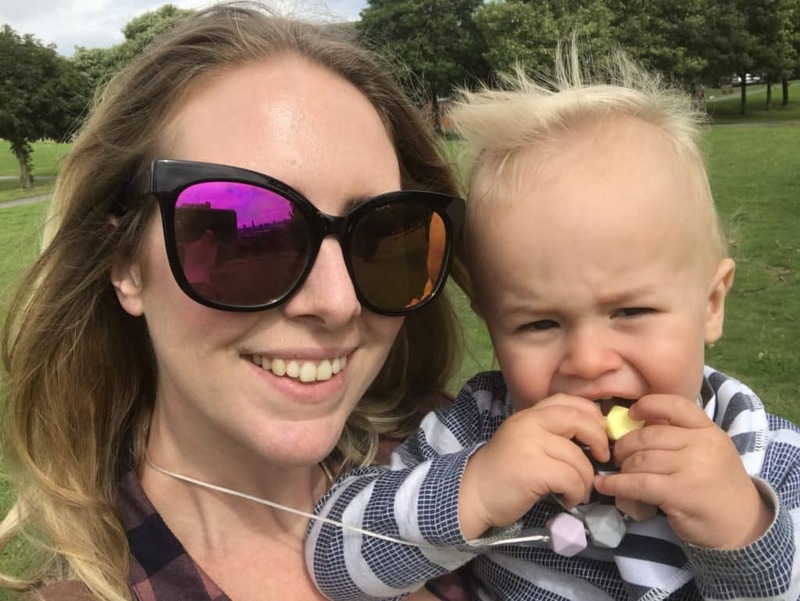 I am super excited to be offering my readers the opportunity to win a teething necklace for yourself and your little one. All you have to do is enter below! Best of luck. What a wonderful idea. It feels like teething is constantly on the agenda in our house and like Dex my little one uses anything but his teething toys for comfort! 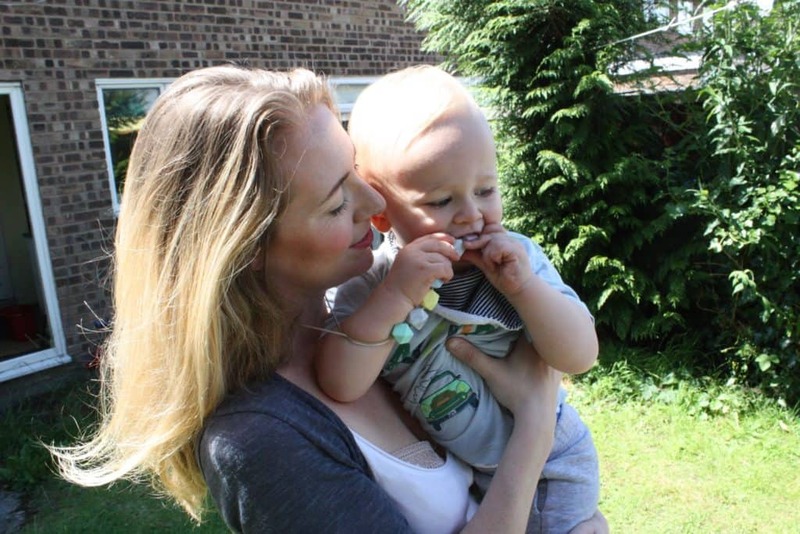 Teething experience can be very different for each child, and adult in my experience. As some children seem to show little to no discomfort, whilst others have flushed cheeks, drool, cry in pain, etc. That I think we all need to be aware and possibly prepared for the worst case scenario, just in case. As I certainly do not want children suffering, especially if there are means to ease their discomfort. Have often found that teething rings which can be cooled in the fridge are particularly helpful. When I saw little Princess Charlotte on tv she was obviously teething, as some drooling and biting her fist. I felt for the little one. Royalty seems to be about Public Appearance :- Being seen to look good / pretty, etc. I wondered if a teething ring would have helped ease discomfort for Charlotte. Also a bib or a muslin cloth would have been beneficial. Surely the needs of the child should be the priority, rather than a Public display in which there is evidence of discomfort. She was at least held by her mum, which could have eased some discomfort by her availability to her child. Jewellery which can be used by child when teething seems appropriate, as child often naturally seeks comfort from mum. 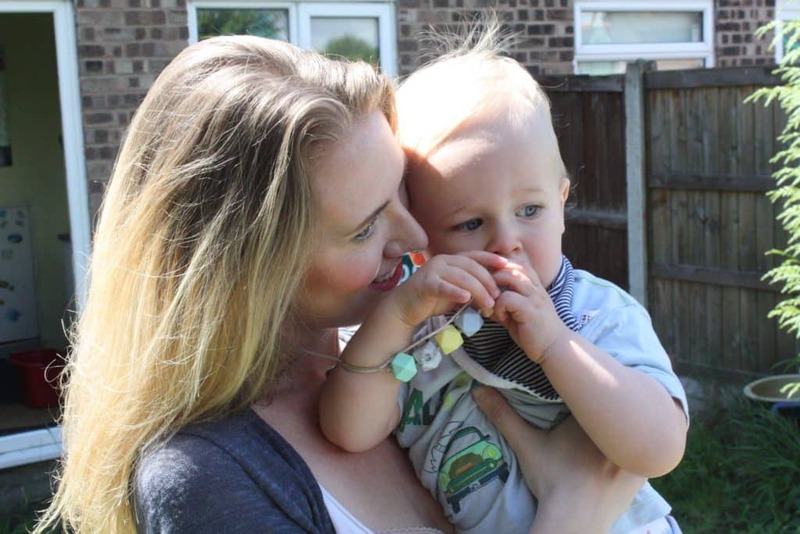 If mum is wearing teething jewellery then child can access it for use, as and when required. I can recall cutting wisdom tooth. I believe I used some bongela at the time. Maybe we need to remember that there are a variety of times / ages in which we cut / teeth, new teeth are a part of development. Being aware of the variety and stages of development can allow us to be prepared, or at least partially prepared. It wasn’t bad. I rubbed my daughter’s gums regularly and a cold washcloth, spoon or chilled teething ring was very soothing. My little boy really struggled. It disturbed his sleep and the only thing that helps is Nurofen. This is beautiful Nic (and gorgeous photos of you and Dex). 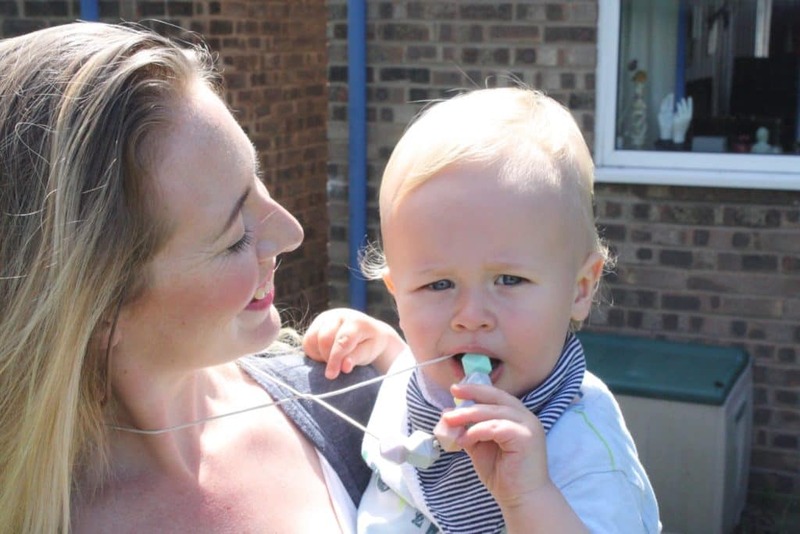 I love the idea of teething necklaces, I think we need to invest – that’s if we don’t win of course! I must have been quite fortunate, as my little one didn’t seem to be bothered through the whole process. It wasn’t as bad as I expected but each child is different. teething is always a nightmare for all concerned wish these had been around before! My daughter was quite bothered by teething between 5-8 months but she is now 11 months and it doesn’t seem to be bothering her much at all now. We’ve had a few sleepless nights, but the major time has yet to come lol!!! My daughter hasn’t started teething yet but having seen my friends and families children whilst teething I am dreading it!